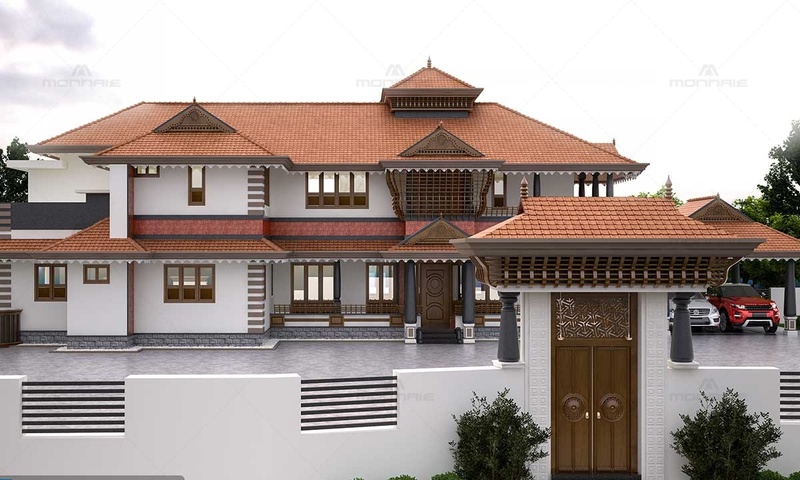 The stunning traditional house located in the beautiful city of Calicut, resembles the Kerala traditional architecture which has evolved as a result from the geographic, climatic and historic factors. 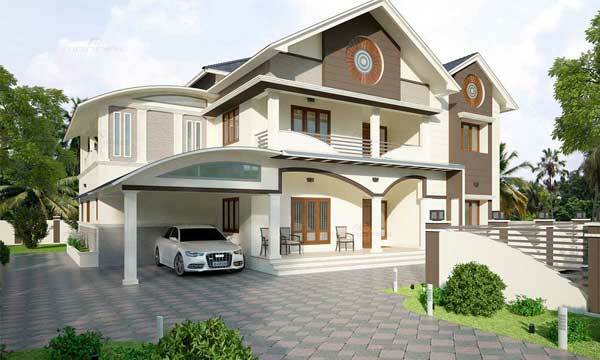 The walls are constructed using laterite which is a locally available material in Calicut. 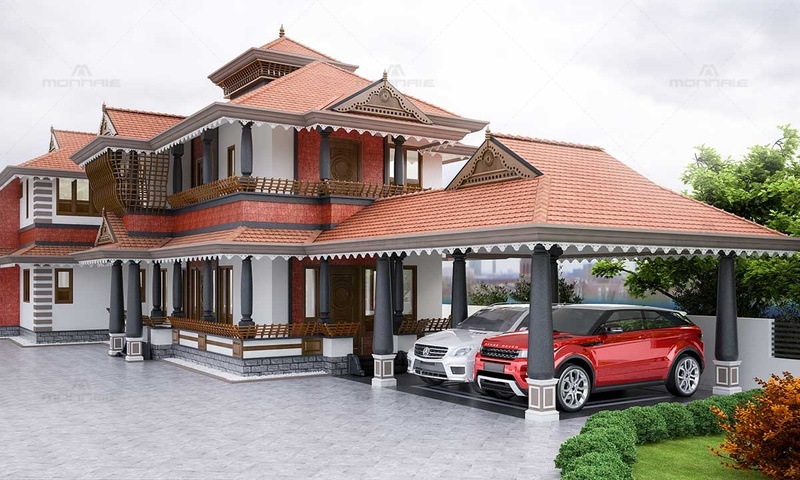 The exposed laterite walls gives the home an earthy, rustic appeal and showcases the skilled workmanship in the Malabar region. 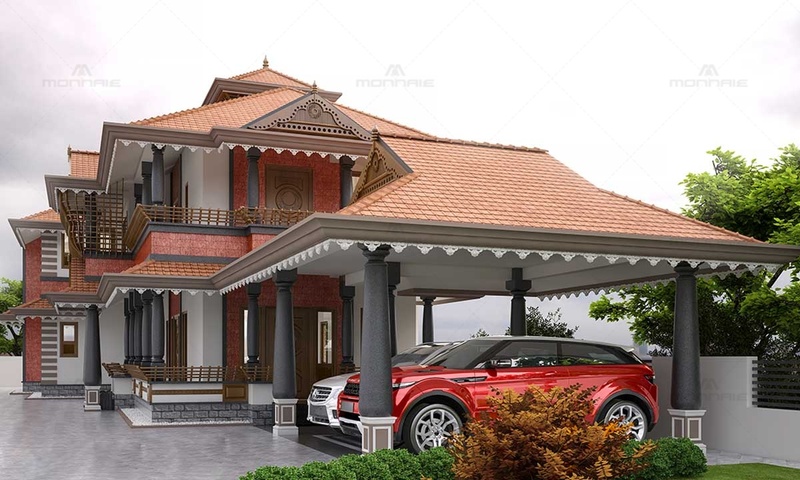 The beautifully done Padipura with the clay tile sloping roof with the wood works, the poomukham with its decorative pillars and wooden charupadi and the mukhappu with its intricate yet pleasing designs gives the home its unique authentic Kerala touch. 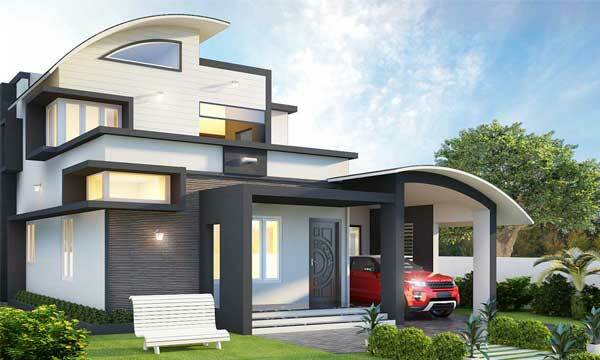 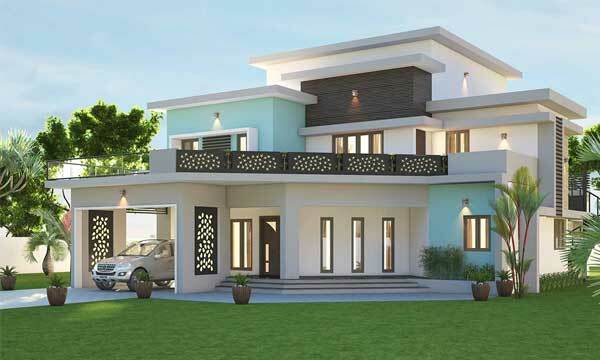 As one of the leading Architects in Kerala, we have tried to tackle the site challenges by bringing in a beautiful linear design which adheres to all the client requirements, and at the same time following the basic principles of Thatchu Shastra(Science of carpentry) and Vastu Shastra(Science of architecture and construction). 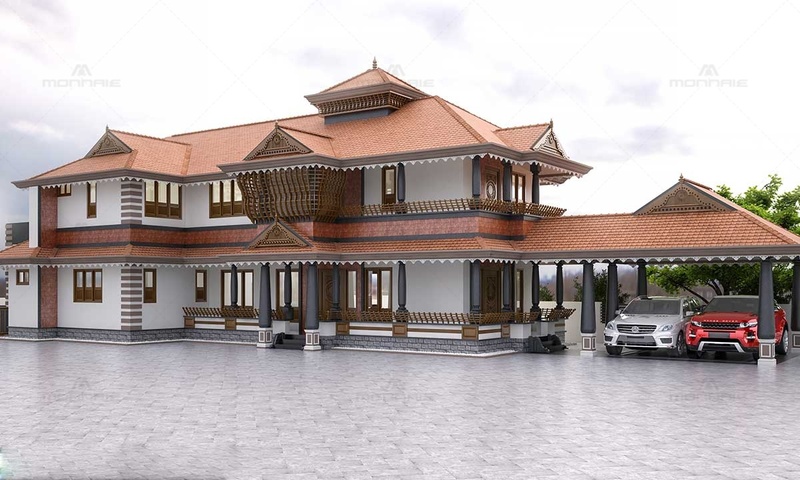 Being one of the top interior designers in Calicut, Kerala, we have beautifully blended the traditional ornamental design elements with the simple contemporary architecture to come up with an elegant and classy interior décor.